The SENTINEL DUAL (High Power) range is available in 3.3-4-5-6-8-10kVA single-phase models and 6.5-8-10kVA three-phase/single-phase models, with on-line double conversion (VFI) technology. The DIALOG DUAL range may be placed directly on the floor or mounted in 19” rack mount cabinets such as the Multi Shelter range. In terms of technology, features (selectable On-line, Economy and Smart Active operating modes), and diagnostics such as the digital display, RS232 and USB interfaces, network adaptor card option and PowerShield³ software include. 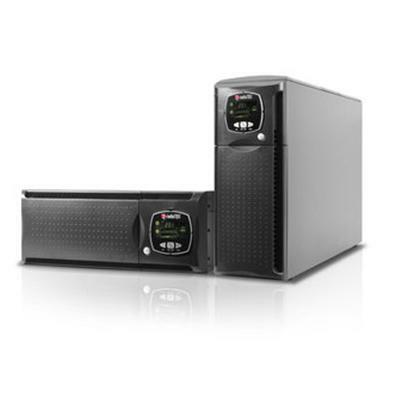 SENTINEL DUAL (High Power) is easily the best solution for protecting “mission critical” applications requiring the highest levels of reliability. SENTINEL DUAL (High Power) is ideally suited for a whole range of applications from IT to security.